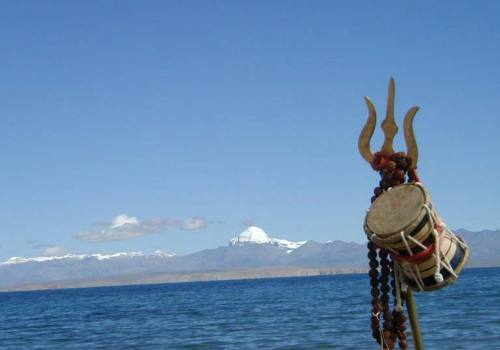 The word Dhaulagiri (8167m) originally came from Sanskrit "Dhavala" which means white and “Giri” means Mountain. 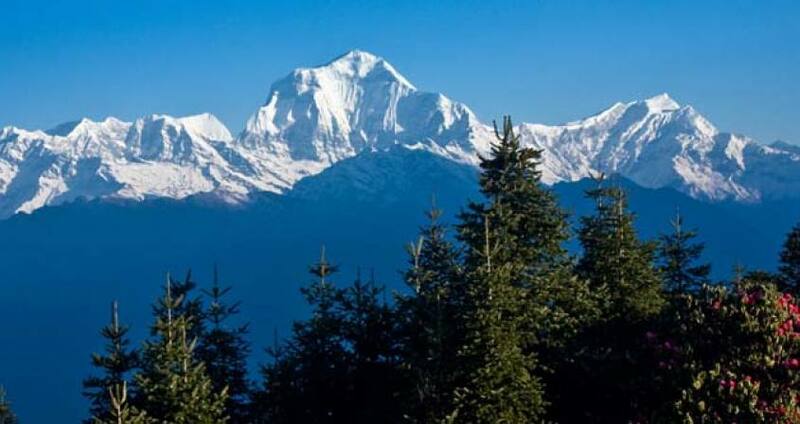 Firstly, in 1960 the Swiss expeditor ascended Dhaulagiri. The climb followed a roundabout way all around the peak over Dhampus pass, Tukuche, French Col to move toward the summit from the North-East Col. This 60- day Mt. Dhaulagiri Expedition designed by Pink Mountain Treks and Expedition will let you have the best experience ever. The best season to go for the Dhaulagiri expedition is spring and atumn. Exploring around Thakali village, Apple orchards; old monasteries, observing striking background of peak desert (Mustang), Dolpo range and different community with number of Magar, Bramhin and Thakali are the major fascinations of the Dhaulagiri Expedition. Dhaulagiri, counted as a seventh highest peak among the fourteen peaks in the world for having an elevation of 8000m. Expedition in Mt. Dhaulagiri demands the best quality service of technical equipments and experienced technically sound mountaineer guides. Because of unpredictable weather conditions we need to be very much cautious and rest days are separated for proper acclimatization. The wind swiftness is terrific in this area, roughly from afternoon to the crack of dawn it is windy incessantly .We need to traverse high passes - French pass (5360m) and Dhampus pass (5258m) in order to reach the Base Camp. We will be setting our base camp at an elevation of 4740m over the Chhonbardan glacier beneath the rocky lump. Leaving the base camp we will be setting 4 more camps further. We will set our Advance Base Camp at 5,300m where normally the stuffs are deposited. Ascending above, we will set the Camp I at 5900meter. And then climbing further where our experienced guide will aid you, Camp II will be set at 6400meter. Then the mount heads to west edge with vertical climbing to get to Camp III. Climbing from Camp I to Camp II needs stretches of vertical climbing. Similarly, Camp III will be made at an elevation of 7200meter. Ascend now moves to the East edge to arrive at Camp IV. The final camp before reaching the summit we will set is Camp IV that will be set at 7500m and then we will finally climb to reach the summit of Mt. Dhaulagiri. Day 03:Stay at Kathmandu for the official procedure. Day 10:Trek to Yak Kharka. Day 11:Trek to French Col.
Day 12:Trek to Dhaulagiri Base Camp. Day 53:Trek to Dhampus Col.
Day 56:Fly to Pokhara / Kathmandu. Day 57:Fly out.Pink Mountain Treks and Expedition's representative will drop you at airport before Three hours of your flight schedule. Day 3Stay at Kathmandu for the official procedure.You will rest in Kathmandu for two more days. You will be described about your trek and then complete some official procedure. Also, make all the preparations essential for trek. Day 5Drive to Beni.After breakfast, we will drive to Beni taking about 4 hours and enjoying good scenery. It is the district headquarters with a police check post, registration certificate of trekkers is checked here. Beni lies at union of the Kali Gandaki and Myagdi Khola (river). Day 6Trek to Tatopani.Today, we will leave Kali Gandaki behind and walk along the north shore of the Myagdi Khola all the way through the community of Beni Mangalghat to reach Singa and then finally to Tatopani (hot springs). Day 7Trek to Ghasa.Trek to Ghasa (2010m.) from Tadapani takes about 2 and half hours. The path keeps on ascending and come across Lete at 2470m, in a while before reaching Kalopani, where you get hold of wonderful views of the Nilgiri peaks, Dhaulagiri I, Annapurna I and Tukuche Peak. Day 8Trek to Marpha.We trek to Marpha (2670m) from Ghasa crossing Kalopani and Tukche. Here you will see the oldest Apple brandy distillery. Day 9Rest at Marpha.We have a day rest at Marpha for proper acclimatization before ascending further. We will go around Marpha and can also teste Apple Brandy here. Day 10Trek to Yak Kharka.Today we will walk further ahead of traversing left into Kali Gandaki valley. There is a very long walk on snow typically taking about 4 hours before beginning the steep drop to Yak Kharka. Day 11Trek to French Col.Today, we will ascend this gentle incline to the French Pass (5100 m.). A great panorama opens up from the French Pass and you will be able to notice Tashi Kang (6386 m.), Mukut Himal (6328 m), and Sita Chuchura (6611 m. To the south lies Tukche Peak (6920 m.) and ahead of is the enormous peak of Dhaulagiri I. Day 12Trek to Dhaulagiri Base Camp.After traversing high passes - French pass (5360m) and Dhampus pass (5258m), we will be reaching the Base Camp. We will be setting our base camp at an elevation of 4740m over the Chhonbardan glacier beneath the rocky lump. To the west are the mountains of Dhaulagiri II (7751m), Dhaulagiri III (7715 m) and Dhaulagiri V (7618 m). Day 13Climbing Period.Leaving the base camp we will be setting 4 more camps further. We will set our Advance Base Camp at 5,300m where normally the stuffs are deposited. Ascending above, we will set the Camp I at 5900meter. And then climbing further where our experienced guide will aid you, Camp II will be set at 6400meter. Then the mount heads to west edge with vertical climbing to get to Camp III. Climbing from Camp I to Camp II needs stretches of vertical climbing. Similarly, Camp III will be made at an elevation of 7200meter. Ascend now moves to the East edge to arrive at Camp IV. The final camp before reaching the summit we will set is Camp IV that will be set at 7500meter and then we will finally climb to reach the summit of Mt. Dhaulagiri. We must be very cautious climbing over as we will receive tough wind whilst mountaineering. We then push to endeavor the apex from Camp IV. Day 53Trek to Dhampus Col.Today we will descend to the Dhampus Pass and carry on walking to reach Yak Kharka. There is a fine camp site to enjoy the surrounding. Day 54Trek to Marpha.Then we will descend to Marpha which lies at 2667m. Day 55Trek to Jomsom.As the track continues to Jomsom, the scenery becomes more and more arid and remarkable with its combination of browns and grey environment with the snow topped peaks of Nilgiri and Tilicho. The stiff winds start on to speed up on our way to Jomsom in the afternoon. Day 56Fly to Pokhara / Kathmandu.Leaving behind the superb countryside early in the morning and travelling for 6 hours we return back to Kathmandu. We can either take a vehicle for a drive or fly back from the beautiful city Pokhara. On arrival at Kathmandu you will be shifted to the hotel. You can then relax for rest of the day. Day 57Fly out.Pink Mountain Treks and Expedition's representative will drop you at airport before Three hours of your flight schedule.